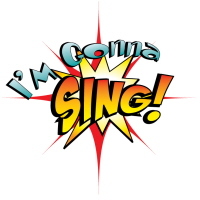 Project Title: I'm Gonna Sing! A CD preview pack contains the complete songbook and Stereo Listening CD with the full-length audio recording of a choral musical or collection. This product is for previewing purposes only and may not be duplicated. Other products connected with this musical may be duplicated amd are so noted.